It was almost three years to the day that I took a photo of a Occupy LA protester that changed both of our lives so quickly. 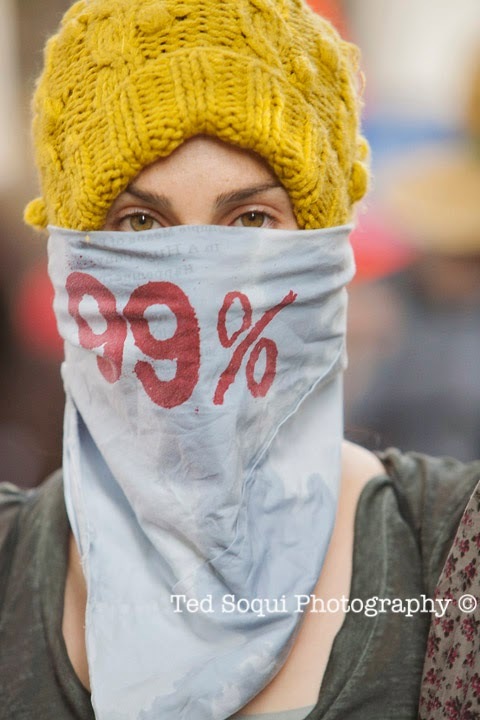 The photo of the protester, Sarah, was taken in front of the Bank of America building in downtown Los Angeles on 11 17, 2011 mid afternoon. She along with a couple hundred of Occupy LA protesters were locked arm-in-arm in a human chain around the bank building. Sarah and several others were arrested that day by the LAPD. Three years later I find myself walking down the same street, Hope Street (ironically named? ), almost the same time of day and date, covering another giant protest against Bank of America. 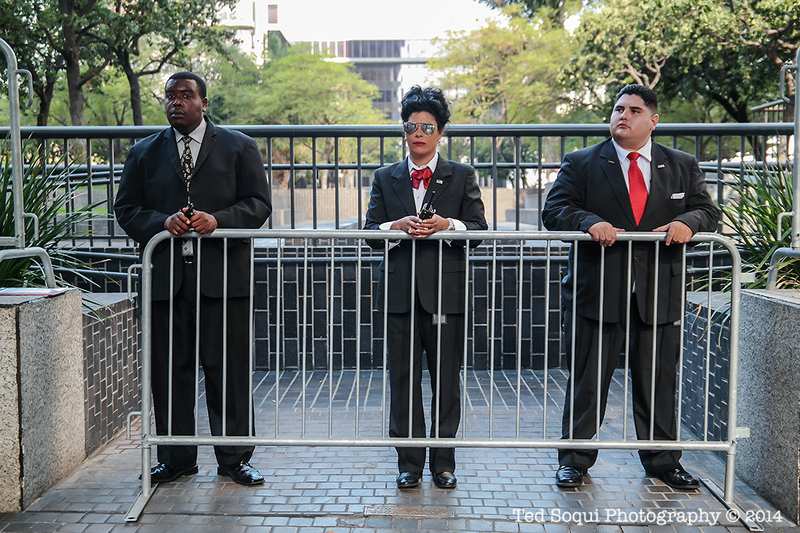 As I walk past the site were I took Sarah's photo, there are three stern looking security guards blocking access to the bank grounds with steel barrier fences. I can look through them and imagine that day three years ago when Sarah and her fellow occupiers stood their ground against the financial giant. So much has changed, and so much has stayed the same.